Contractors Insurance | Rehoboth Beach, DE | Wilmington, DE | Williams Insurance Agency, Inc.
Aside from convenience, a contractors’ insurance policy can help save you money and time. Although standard contractors’ insurance policies tend to offer less coverage than BOPs (business owners’ insurance policies), they provide essential coverage to protect against financial devastation. A properly prepared contractors’ insurance policy offers a budget-friendly option for smaller companies and single operators. All contractors in the state of Delaware are required by law to carry contractors’ insurance. It protects you and your business, as well as your customers. 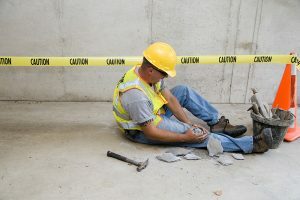 Some contractors’ insurance policies can be modified to include special expanded coverage including commercial auto insurance, workers’ compensation insurance, and larger limits. During construction and before a structure is completed, these partially constructed buildings are subject to substantially more risk than perils faced by completed structures. Risks include fire, wind damage, collapse, vandalism, theft, and similar risks. Coverage begins when the materials are delivered to the job site and expires when the structure is completed and ready to be occupied. At the termination of the builder’s risk insurance coverage, the owners should promptly secure commercial property coverage or a home owner’s insurance policy. We can coordinate the entire process from beginning to end for you and your customers for seamless coverage and peace of mind for all. Contact the Williams Insurance Agency, Inc. to learn more about contractors’ insurance, builder’s risk insurance, and our complete line of business insurance products. Our licensed and experienced agents are available to present your business coverage options during your free consultation. We work hard to protect the interests of businesses of all sizes throughout the Delmarva area, and are proud to have served your comprehensive insurance needs for over 70 years. Contact our office in Rehoboth Beach, Delaware, at 302-227-2501 or in Wilmington, Delaware, at 302-239-5500.